Question Booklets for Volumes 5, 6, & 7! No new audio with this post. It is a blog only update to let you know that the Question Booklets for Volume 5, 6, and 7 are now available. 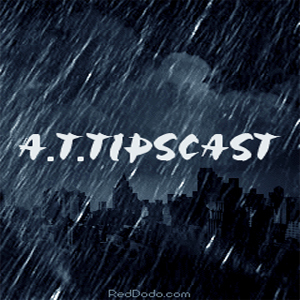 If you’re new to the A.T.TIPSCAST and you’re not sure what that is, you can find out more by checking out the special episode about professional development posted back in May, 2009. You can find the Question Booklets for every volume by clicking on the “Free PD Kits” link in the top right corner of the page. This entry was posted in Assistive Technology, Differentiated Instruction, Instructional Technology, podcast, Professional Development, Special Education, Universal Design for Learning and tagged Assistive Technology, audio, automobile, CD, commute, Differentiate Instruction, Differentiated, Differentiated Instruction, Education, Educational Technology, Instructional Technology, listen, podcast, Podcasts, Professional Development, Public School, public schools, radio, Special Education, Staff Development, Strategies, Universal, Universal Design, Universal Design for Learning on March 18, 2010 by Christopher Bugaj. Episode #48 features an interview with the free to use website Vozme.com. To my knowledge, this is the first time in history when a person actually got a sit-down interview with an actual website. Vozme.com and I discuss strategies for using the website to create .mp3 files from text. The episode features a bumper from Christine Southard and Lisa Parisi who are two fifth grade inclusion teachers in Long Island, New York. I was fortunate enough to meet Christine and Lisa at NECC 09 and attend their presentation about the tools they use to differentiate instruction for the students in their classroom. It was at their presentation where I learned about Vozme.com. This entry was posted in Assistive Technology, Augmentative Alternative Communication, Conferences, Differentiated Instruction, Instructional Technology, podcast, Special Education, Universal Design for Learning and tagged Assistive Technology, audio, Augmentative Alternative Communication, Book, Communication, Conferences, Differentiate Instruction, Differentiated, Differentiated Instruction, Disabilities, Education, Educational Technology, Instructional Technology, Listening, podcast, Podcasts, Public School, public schools, sound effects, Special Education, Text to Speech, Universal, Universal Design, Universal Design for Learning, Vocabulary, Voice on January 16, 2010 by Christopher Bugaj. 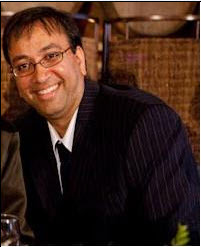 Episode #47 features an interview with Proby Patel, a fourth year medical student at Ross University. Proby and I discuss strategies for managing the massive amounts of content students experience. Specifically, we discuss the uses of speed controls of digital media players to help students experience content faster. The episode features a bumper from Brian Wojcik who is the special education/assistive technology center coordinator at Illinois State University. For some reason the embed code isn’t working for the video of Brian’s bumper but you can watch it directly from here: Brian Wojcik Bumper. 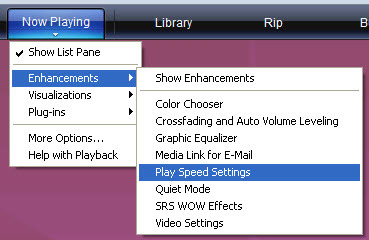 In Windows Media Player, version 11, open the file you want to watch. Click on the Now Playing tab, then Enhancements, and then Play Speed Settings to control the playback speed. 1. http://iste.org/setsig – The Special Education Technology Special Interest Group from the International Society for Technology in Education (also known as ISTE). The SETSIG’s website has a wiki with links to ongoing discussions about using technology for students in special education as well as a handy assistive technology primer. 2. Windows Media Player 11 Keyboard Shortcuts – Note: Shortcuts may vary based on the version of Windows Media Player you are using. 3. Quicktime 7 Keyboard Shortcuts – Note: Shortcuts may vary based on the version of Quicktime you are using. 4. Real Player Keyboard Shortcuts – Note: Shortcuts may vary based on the version of Real Player you are using. Join the A.T.TIPPERS group on Facebook and/or Classroom 2.0 ! You can also follow me on twitter.com/attipscast. This entry was posted in Assistive Technology, Augmentative Alternative Communication, Conferences, Differentiated Instruction, Instructional Technology, podcast, Special Education, Speech Pathology, Universal Design for Learning and tagged Assistive Technology, Augmentative Alternative Communication, Autism, Book, Communication, Conferences, Differentiate Instruction, Differentiated, Differentiated Instruction, Disabilities, Education, Educational Technology, Instructional Technology, Language Development, Microsoft Office, Organization, podcast, Special Education, Speech Pathology, Strategies, Talking, Universal, Universal Design, Universal Design for Learning on January 1, 2010 by Christopher Bugaj. Episode #46 features another excerpt from the presentation for the Individual Differences in Learning Association in Howard County, Maryland. This excerpt describes WordTalk; a free text-to-speech plug-in for Microsoft Word. The episode features a bumper from Karen Janowski who is an assistive technology consultant, an assistive technology specialist for a school district in Massachusetts, adjunct faculty member at Simmons College, and school board member in her town. She is also one of the innovators behind the UDLTechToolKit wiki, which contains a plethora of resources useful for differentiating instruction. WordTalk is a free text-to-speech add-in for Microsoft Word. You can find all the details about which versions of Word it works with along with other frequently asked questions, installation instructions and more over at the WordTalk download page. 1. WordTalk SlideShare Tutorial – This tutorial, created by Paul Hamilton, describes everything you need to know about WordTalk. 1. www.iste.org/chewat – Select “Notify Me” to sign up to get an e-mail reminder when the book comes out. 2. Eight is Enough Presentation – This is the slideshow I used during the presentation for IDL. 3. 2009 Edublog Award Winners – Congratulations to all of the winners! Let me recommend you head over there to check out all of the nominations and winners. The A.T.TIPSCAST placed seventh out of 26 in the category of “Best Educational Use of Audio“. 4. CliCk, Speak – A free, open source text-to-speech extension for the Firefox web browser. 5. Text-to-Speech in OpenOffice – Open Office is a free suite of programs including a word processing program. OO Text To Speech is a free download for this program. 6. Word Magnets – Type or paste text (words or letters) into a box that then makes each word (or letter) a separate moveable object. Perfect for word scrambles or sentence generation on an interactive whiteboard. This entry was posted in Assistive Technology, Augmentative Alternative Communication, Conferences, Differentiated Instruction, Instructional Technology, Language Development, podcast, Special Education, Speech Pathology, Universal Design for Learning and tagged AAC, ADHD, Assistive Technology, Augmentative Alternative Communication, Autism, Better Hearing and Speech Month, Book, Communication, Conferences, Differentiate Instruction, Differentiated, Differentiated Instruction, Education, Educational Technology, Free, Instructional Technology, Language Development, Listening, Microsoft Office, podcast, Public School, public schools, Reading, Special Education, Speech Pathology, Uncategorized, Universal, Universal Design, Universal Design for Learning, Voice on December 20, 2009 by Christopher Bugaj. Episode #44 is up for your listening pleasure and boy is it a doozy! It clocks in at just under 42 minutes! Yikes! Episode #44 is kind of a unique episode because it features a recording of a live event. Back on November 14th I was lucky enough to attend the Powering Up with Technology Conference in Prince George’s County Maryland. At that conference I presented a session called Alternative Professional Development. I use the term “presented” loosely because, although I was listed as the presenter, the session was more of an integrated brainstorming session. I was more of the moderator for the discussion than a presenter. During the session we tried to outline some of the common problems with staff development happening in public schools and then try to come up with some solutions. During the course of the discussion a bunch of great ideas were mentioned about how to address some of the problems with the typical professional development model. Furthermore, a number of concrete resources are mentioned that can be used to assist students. You can access the entire presentation as generated by the audience here: Alternative Professional Development Presentation from PUWT09. The episode also features a bumper from Robin Lesht who is a speech-language pathologist from Mount Prospect, Illinois. I met Robin at ATIA 09 where we shared different experiences working in the field of speech-language pathology. Many a student has strained their neck transposing a handwritten assignment onto the computer because the paper was flat on the desk. To alleviate the neck strain people started to use document holders so that they didn’t have to constantly shift their field of vision from the paper to the screen and back again. Sure, you could go out and spend money on a fancy, commercial document holder or you could take an unused CD case that you probably have lying around, flip it over so the hinged cover is upright and then fasten the paper to it with an alligator clip. 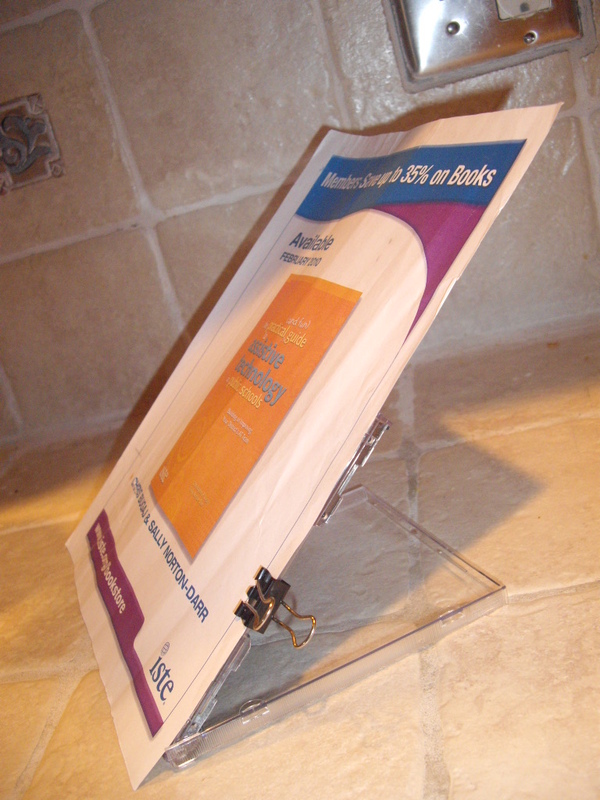 Done and done, instant document holder. This website provides over 1000 pre-made lessons/presentations on a wide variety of curricular topics. The media-rich presentations are similar to a PowerPoint presentation and each one is available to be viewed online via your web browser. Each presentation is useful as a pre-learning activity where students could be asked to independently review content before a class discussion, as an alternative source of content to complement or supplement another lesson, or as a follow-up/review activity at the end of a lesson. This website allows you to create an animated talking head. Use text-to-speech or record a voice to have the voki speak the message. Vokis could be used by a teacher to introduce a lesson, give verbal instructions for an assignment, record reminders to students, provide feedback and more! Vokis could be used by a student as an alternative means of expression for presentations, practicing conversations, or demonstrating knowledge. Check out these ideas on how to use Voki in your classroom from The Edublogger. Check out a Voki I created. This website allows you to upload a picture, select a portion of that picture that will move (usually a mouth), and then record a message. When the message is played back, the selected area will move in time with the message. Blabberize can be used in similar ways as Vokis. It could be used by a teacher to introduce a lesson, give verbal instructions for an assignment, record reminders to students, provide feedback and more! It could be used by a student as an alternative means of expression for presentations, practicing conversations, or demonstrating knowledge. 2. Evidence that high-speed Internet access is not ubiquitous. 3. More evidence that high-speed Internet access is not ubiquitous. 4. www.delicious.com – Social Bookmarking Site. Note that the A.T.TIPSCAST uses delicious to share resources on the left side of the page. 5. www.Prezi.com – A new and interesting way to create a presentation. Information is presented on one large canvas and you zoom into different areas of the canvas to view the information. 6. www.tinyurl.com – A useful way of making long URLs shorter. Shortened URLs are easier for users to remember (like www.tinyurl.com/nlsstories) and easier for people to type in if entering a URL from a piece of paper. and by kids from the students at Willowdale Elementary School in Omaha, Nebraska. as an mp3 digital audio file. 10. Quick Access Toolbar in Word 07 – Microsoft Word 07 features a quick access toolbar that can be customized, allowing for favorite tools to be shown and less used tools to be hidden. This feature helps to reduce clutter on the screen while highlighting to students some key/important features they could be using in Word. This entry was posted in Assistive Technology, Augmentative Alternative Communication, Conferences, Differentiated Instruction, Instructional Technology, Language Development, podcast, Professional Development, Special Education, Speech Pathology and tagged AAC, ADD, ADHD, ASHA, Assistive Technology, Attention, Augmentative Alternative Communication, Autism, Communication, Conferences, Differentiate Instruction, Differentiated, Differentiated Instruction, Disabilities, Education, Educational Technology, Instructional Technology, Language Development, Organization, podcast, Professional Development, Public School, public schools, Special Education, Speech Pathology, Universal, Universal Design, Universal Design for Learning, Voice, web 2.0 on November 24, 2009 by Christopher Bugaj.